Please read the "Important Notes" on the side bar (or at the bottom of the page on a phone), and also the orange box below, before proceeding with shopping. 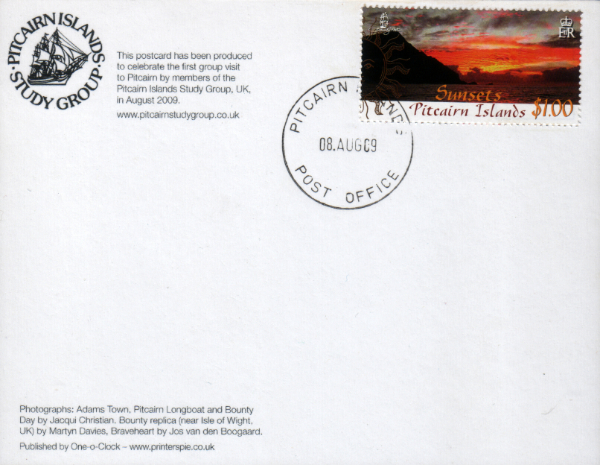 Postage is charged by your region, and is charged once only for your total order. Please click the appropriate blue button below once to add postage to your shopping cart. Any orders which do not have postage added will be refunded by PayPal. Audio CD available in very limited quantity. ONLY £5 EACH. Please remember to add the postage charge to your order, thank you. Hurry, buy your copy now. We have just eleven ten CDs remaining in stock. 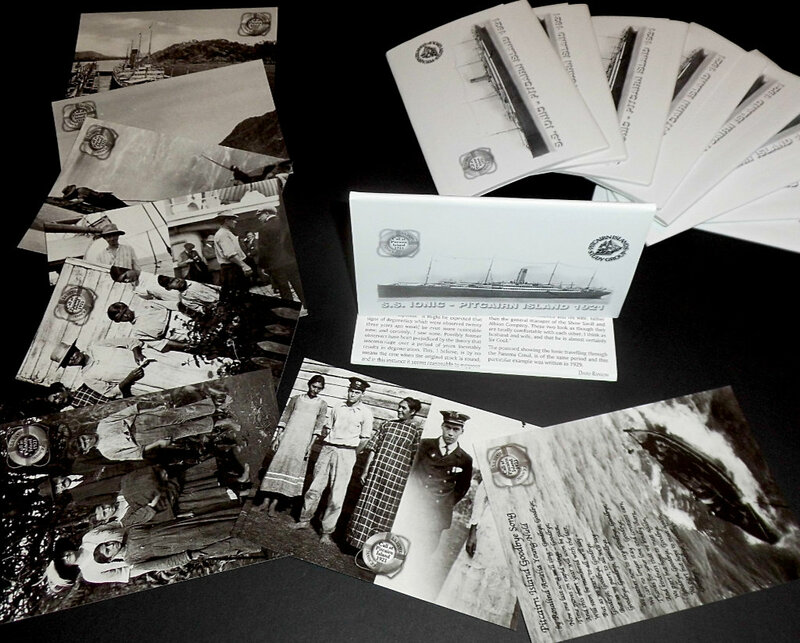 Last few sets of eight postcards reproduced in 2004 from a fascinating set of photographs taken during the SS Ionic's call at Pitcairn on 14th June, 1921. 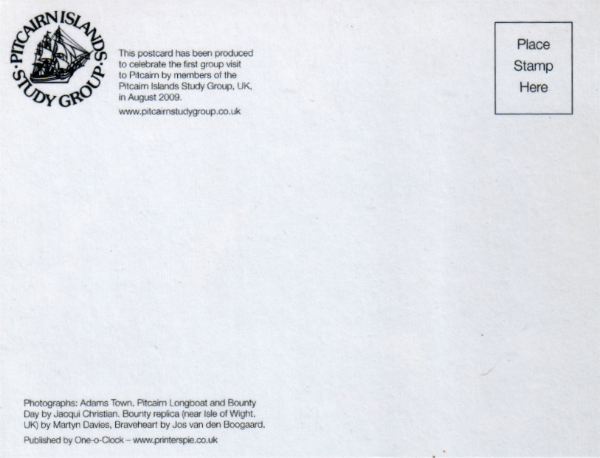 The card set is contained in a printed wrapper with the full story of the visit. Hurry, buy your cards now. We have just nine seven sets remaining in stock. 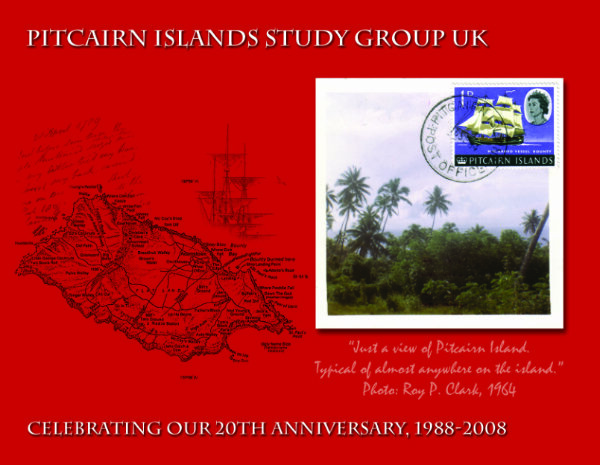 Set of two postcards celebrating the 20th Anniversary of the PISG, UK (this was the original name of the PNI). 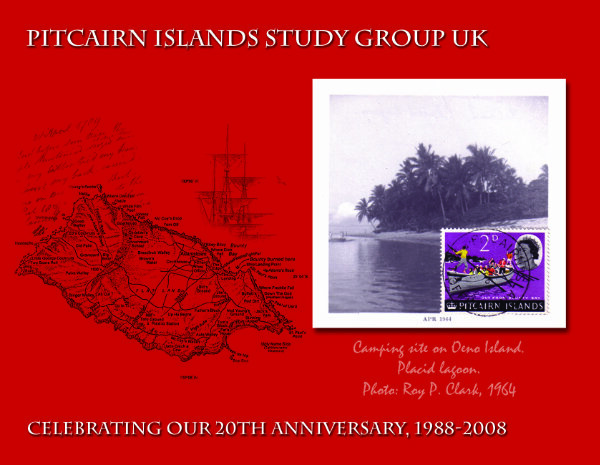 The cards feature a map of Pitcairn and colour photographs of the island taken by Roy Clark in 1964. Hurry, buy your cards now. We have just 7 sets of two remaining in stock. Mint condition unposted. Used copies also available, see below. Hurry, buy your cards now. We have just three two copies remaining in stock. 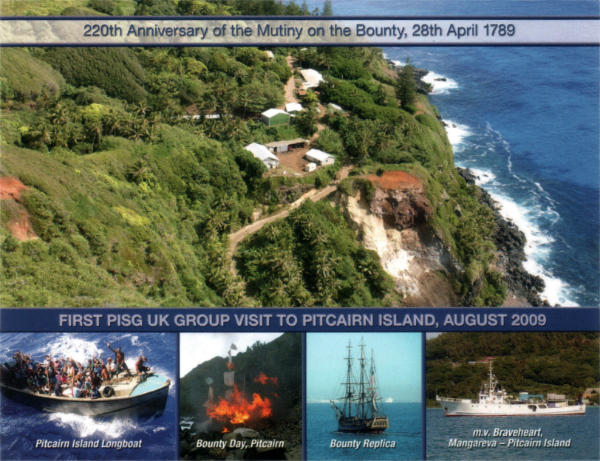 Cancelled on Pitcairn Island during the visit. Mint copies also available, see above. Hurry, buy your cards now. We have just two copies remaining in stock. Payment for items ordered from this page will go to David Ransom (PNI magazine editor and Webmaster). He will arrange delivery and then transfer the amount owing to the PNI to the Treasurer. 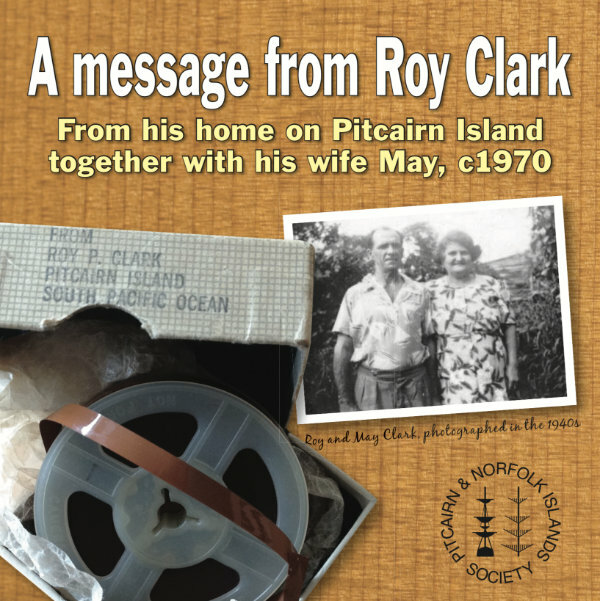 In the case of the Roy Clark CDs, the full amount, less post and packing, and PayPal fees, will be paid to the PNI. From the postcards sold here, 15% will be paid to the PNI after post and packing costs, and PayPal fees, have been deducted. The balance of the money from postcard sales will be retained by David Ransom. Any orders which do not include a payment for post and packing will be refunded. ITEMS ON THIS PAGE ARE AVAILABLE FOR SALE ONLY WHILE STOCKS LAST. Should any items be sold out after your order is placed, a refund will be issued by PayPal.